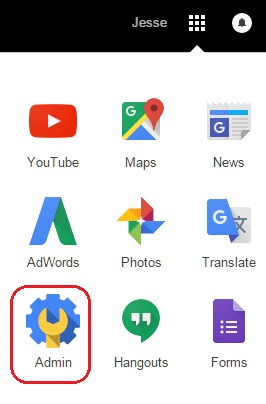 How do I access my organization's Google Apps Administrative Console? 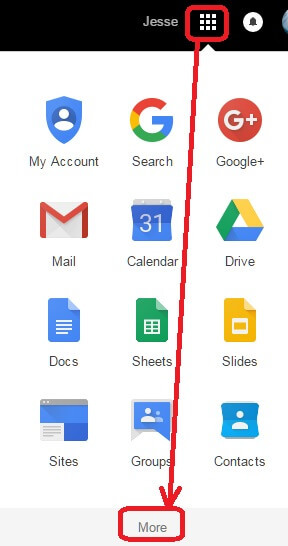 Step 1) Login to Google Apps email from a web browser. Note: You must be an administrator for your organization. Step 2) Click the 3x3 grid at the top-right and then click on 'More'. Step 3) Click on the 'Admin' icon in the list. Note: You may need to enter you password again for verfication. You should now be logged into your Google Apps Administrative Console.